The 2013 season's final concert at Romolo Chocolates promises to be a burner! Hammond B-3 newcomer Adrienne Hindmarsh, with a quartet which includes husband Josh on guitar and drummer Jim Rupp, will also feature saxophonist Pete Mills, a young man who has already established his reputation in Erie in previous visits. Singer and jazz organist Adrienne Hindmarsh's story speaks vividly of her drive and calling. Born in New Zealand, she found her love for jazz organ listening to records. ordered a C-3 from Canada, developed her chops with recordings by Smith, DeFrancesco, Holmes and McDuff as her guides. Soon she was touring New Zealand and Australia. Sshe came to the U.S. in2008, initially settling in the midwest, then to NYC. Joey's sponsorship has helped her make her place on the U.S. scene. Her latest CD is "Blues Skies," (2009, CD Baby). 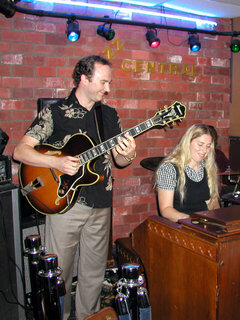 Husband and fellow musician Josh Hindmarsh came with Adrienne from New Zealand, and joined her on the "Blues Skies" album. His influences are Benson and Montgomery, and his swing and drive make him a natural accompanist for organists. 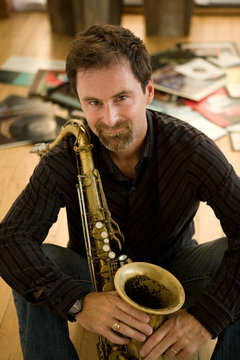 This superb saxophonist, already familiar to many Erie listners, has also issued recent CD's, including "Fresh Spin" with Pete McCann and Tony Monaco, and "Art and Architecture" with drummer Matt Wilson and bassist Dennis Irwin. Mills is a native of Toronto, now based in Columbus, OH. In addition to an active performing career, he has also established a career as a composer and educator, teaching at schools in the Columbus area, including the Cincinnati Conservatory, OSU, Ohio Wesleyan and others. 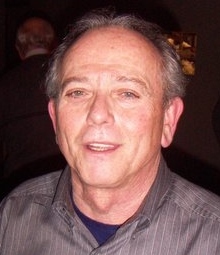 He presents workshops on improvisation, enseble skills and practice techniques. Mills is a graduate of Eastman and the University of North Texas schools of music. A TERRIFIC FINALE FOR A GREAT SUMMER OF MUSIC AT ROMOLO CHOCOLATES! 2013 Romolo Chocolates Concert Calander.